HOW DOES IT FEEL TO KNOW THAT SO MANY OF THE LOOKS YOU’VE CREATED HAVE BECOME ICONIC? [TB] It’s wild! It’s always a crazy feeling when Halloween comes around and people are wearing looks I created. I never thought that would happen, but I love it. I’m super excited for a film I worked on a few summers ago to come out for the same reason. DO YOU ENJOY HAIRSTYLING/WIGMAKING AS MUCH AS MAKEUP ARTISTRY and what’s the average time it takes to make one of sia’s wigs? [TB] Makeup is hands down my favorite and what I’m most passionate about. Wigs sometimes take over a week to complete, so the wig-making process isn’t something I look forward to necessarily, but when I see the finished product in print or in a music video ...then it’s like whoa I’m a part of something really special! HOW DID YOU GROW YOUR CAREER TO THE LEVEL IT IS TODAY? [TB] I worked really hard, and I believed in myself. I love instagram, but I think it sometimes gives people the wrong idea- like things come easy and fast, which is not true. I’ve worked really hard for everything I’ve achieved and appreciate all the opportunities I’ve been given. I don’t take anything for granted. WHAT’S THE BEST REWARD AS WELL AS THE BIGGEST CHALLENGE OF BEING A TOURING MAKEUP ARTIST? [TB] Touring is one of my favorite things to do. I never dreamed that I’d be traveling the world. I didn’t grow up with much. I never considered that my career would take me to all these insane places ! I mean… South Africa, Paris, London, Russia, Brazil, Argentina, Isreal etc! On one tour we did 19 countries in 21 days! The challenge.... jet lag is real! When you land in another country, even if you are beyond tired– don’t take a nap ! Try to wait it out as long as you can til your normal bedtime. otherwise you’re gonna be a zombie. WHAt ADVICE WOULD YOU GIVE TO AN artist aspiring to travel with their clients? [TB] Be overly organized and prepared. always make sure you pack extra of any products you might go through, that way you always have back up. Bring the proper international adapter/converters if anything in your kit needs to be plugged in. If there are specific items I know my clients like, I always make sure to have them where ever we go. HAS MADDIE [ZIEGLER] TAUGHT YOU ANY GOOD DANCE MOVES? [TB] Hahaha I mean she tries. They just never stick. She’ll show up and let me know what the latest move is. I still wish I could floss. I’m better off just sticking to makeup. WHAT HAS BEEN THE MOST REWARDING MOMENT OF YOUR CAREER ? [TB] I worked on a film that my friend wrote and directed. I’m SO proud and honored to have been a part of it. I can’t wait for it to come out! what are the top 5 beauty hero products you personally use on yourself? How did you discover LHLA products? [TB] Instagram! I don’t remember exactly but I was probably in some deep instagram hole and I needed glitter for a photoshoot I had coming up and bam there you were. So glad I found you, now I actually look forward to using glitter! 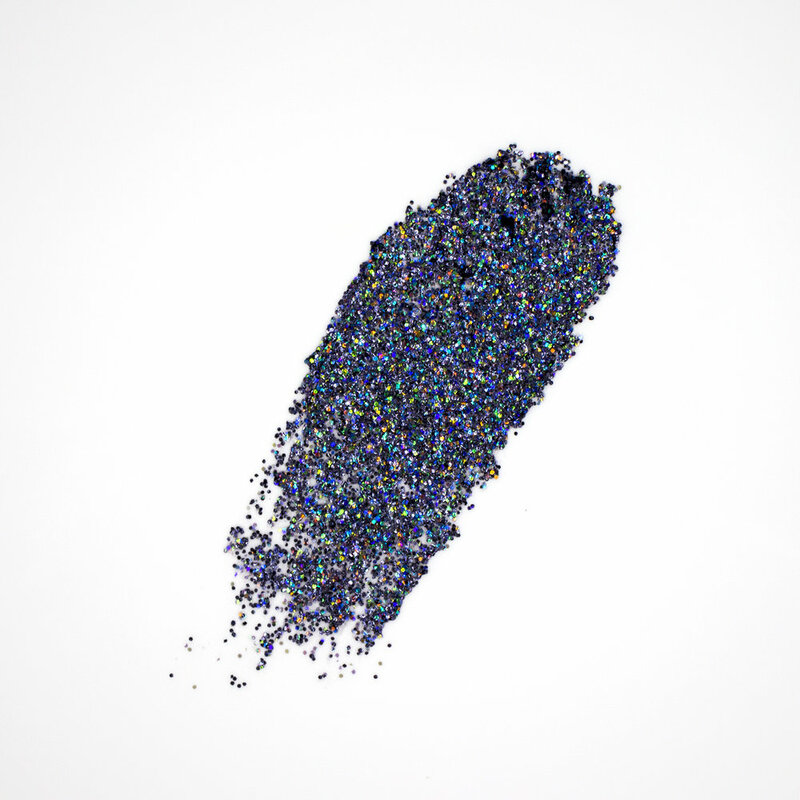 HAS YOUR ATTITUDE TOWARD GLITTER CHANGED SINCE ADDING LHLA TO YOUR KIT? [TB] Absolutely! I tell everyone “glitter is the herpes of the craft world” because it spreads like crazy and gets on everything. I had to cover someone’s entire body with glitter for a music video once. Weeks later I was still finding glitter in the most random places. With LHLA the application and removal is mess free. I also don’t have to worry about fallout– once it’s applied, it stays in place. HOW DID YOU COME UP WITH THE NAME “GODFATHER”? [TB] When it comes to naming things I just try to keep it simple and pick the first thing that comes to mind. I created GODFATHER Spacejam® for a photoshoot I had coming up with Maddie. Maddie calls me her godfather... it just made sense. what does your charity mean to you? [TB] It’s hard to pick only one charity, but I love Best Friends and everything they do for animals. I thought it was so cool to get to design an amazing product that would also help animals live better lives.